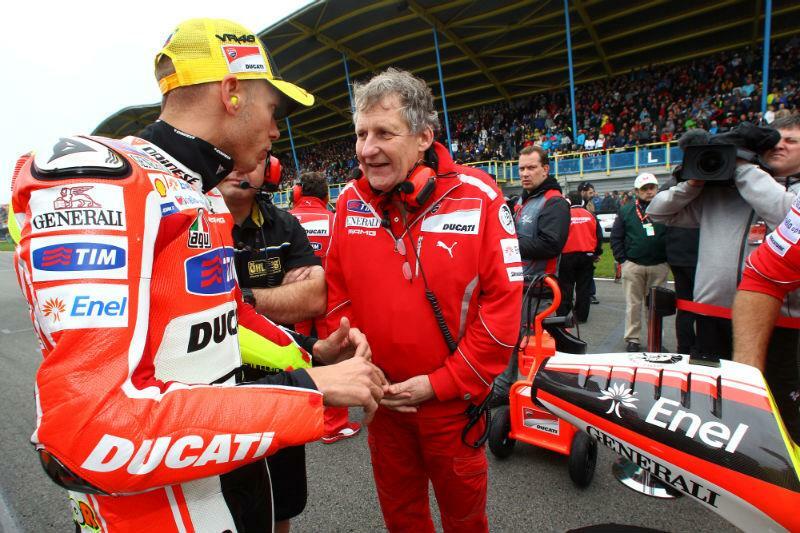 Valentino Rossi expects trusted crew chief Jerry Burgess to be back pulling the strings in his factory Ducati garage at this weekend’s American Grand Prix at Laguna Seca. Burgess has been absent from Rossi’s side in Mugello and the Sachsenring having returned to Adelaide after his wife was diagnosed with breast cancer. Rossi had his worst result on the Ducati Desmosedici in Germany when he slumped to a dismal ninth but he said Burgess is expected back in California. The 32-year-old said: "We miss Jerry a lot because we are together for more than ten years, so he knows exactly what I need and what is the way to work. But I think next week in Laguna Jerry will be with us."